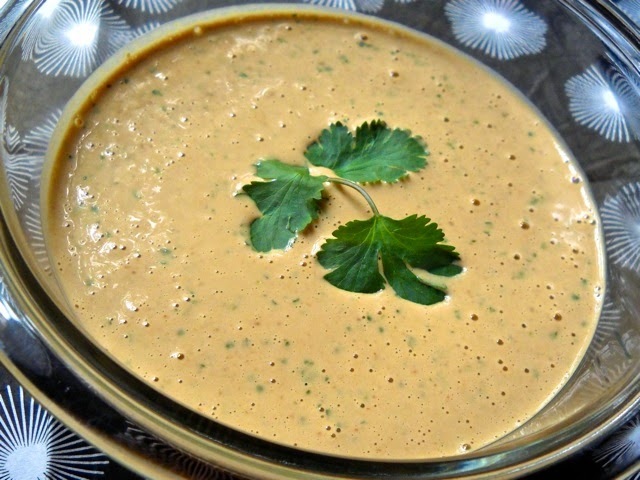 Peanut sauce is a Thai recipe is most popular Asian sauce which is quick and easy to make.We serve it with dosa or idli or many other purposes. In mixer with 1 cup peanut grains, 1/2 cup water, salt,green pepper, take grand. Put the mixture in some bowl,if the mixture is condensed then put a water into it. Now in its mix lemon juice. Take a pan heat a oil and roasted mustard and enter a red chilii powder into it. Now mix a mixture into this. Make it cool to serve. To serve this tasty thai sauce, make it cool, garnish with coriander leafs and serve it with dosa or idli.